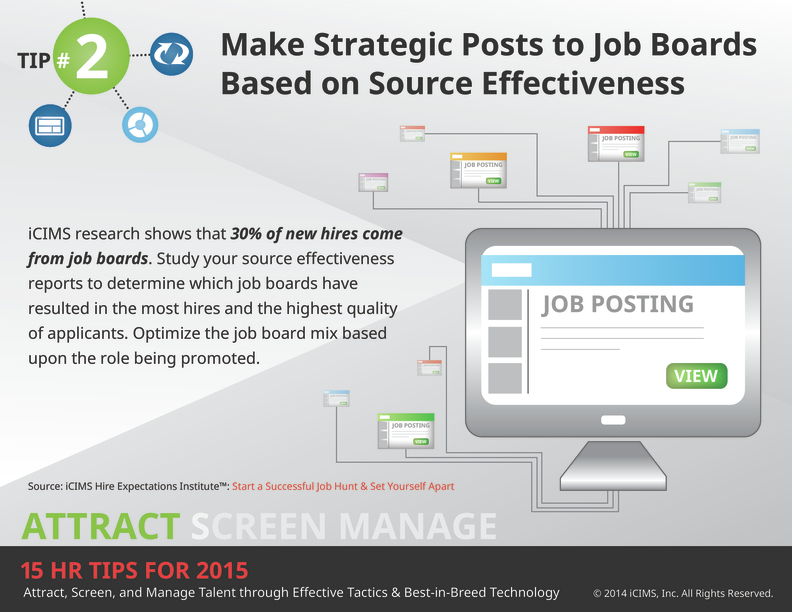 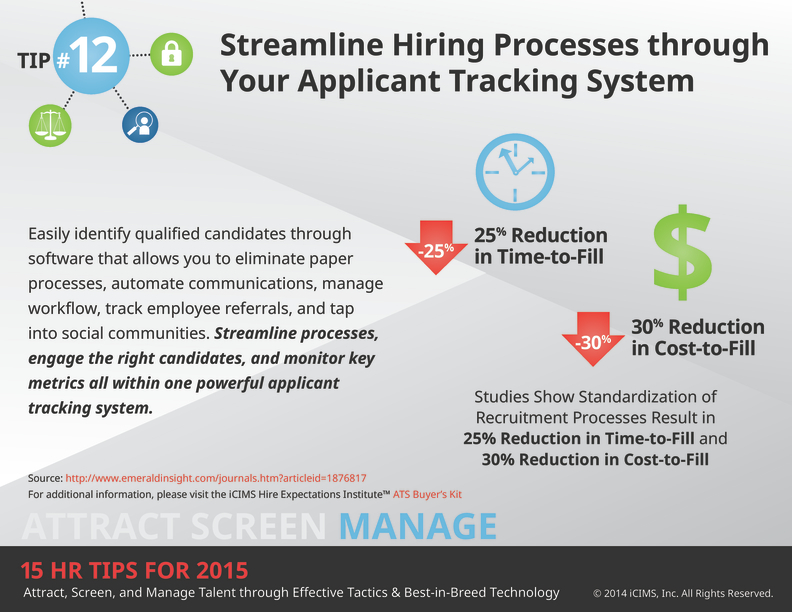 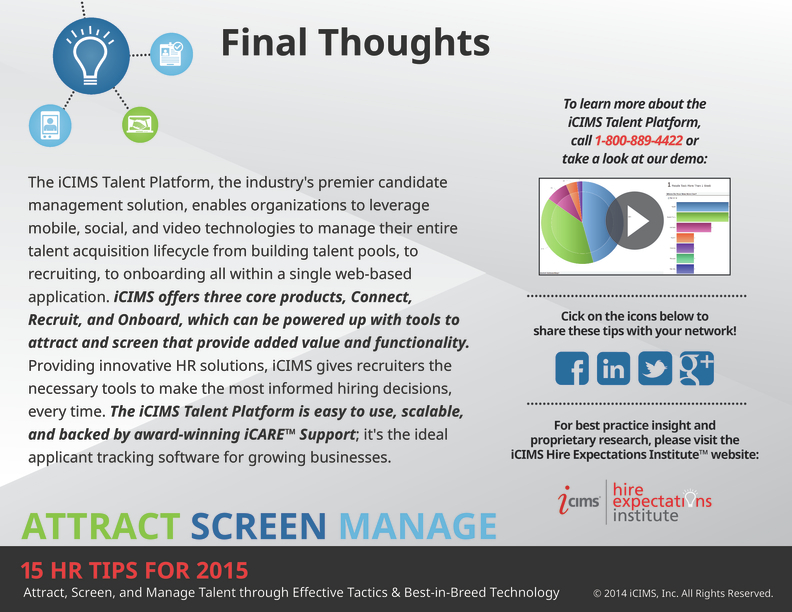 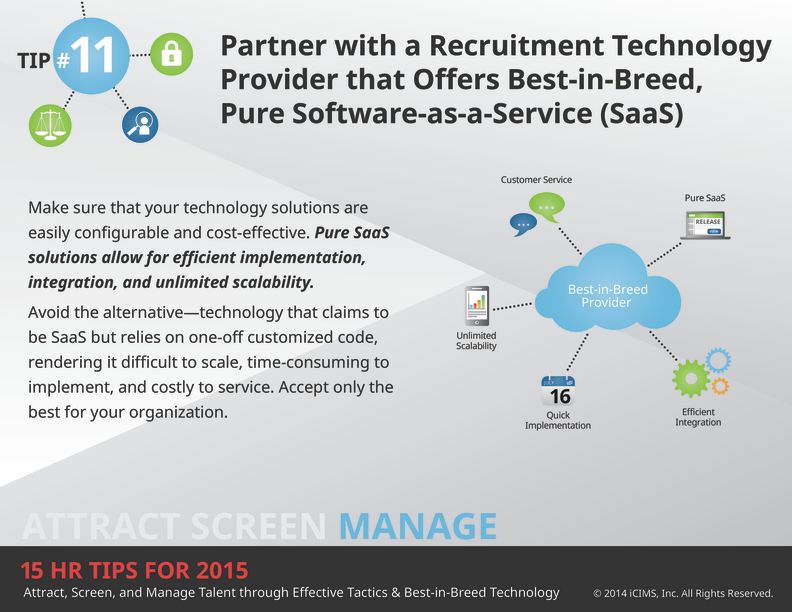 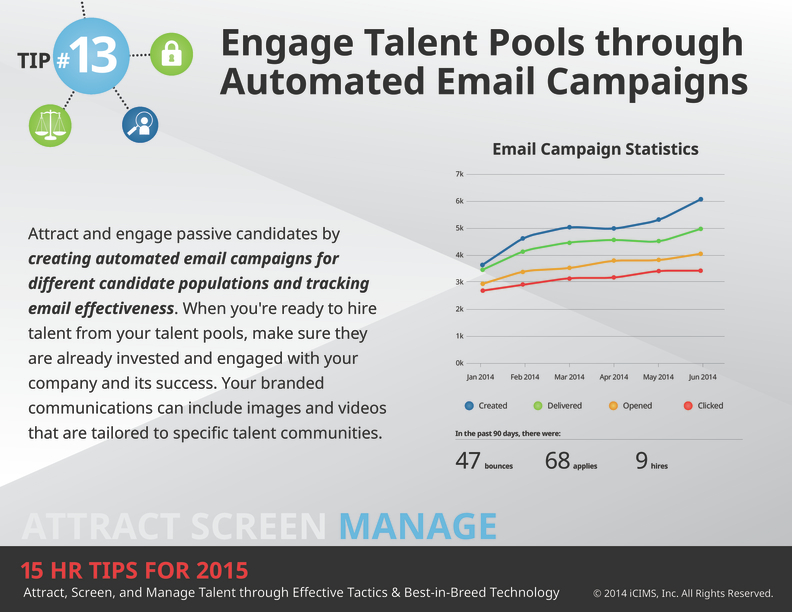 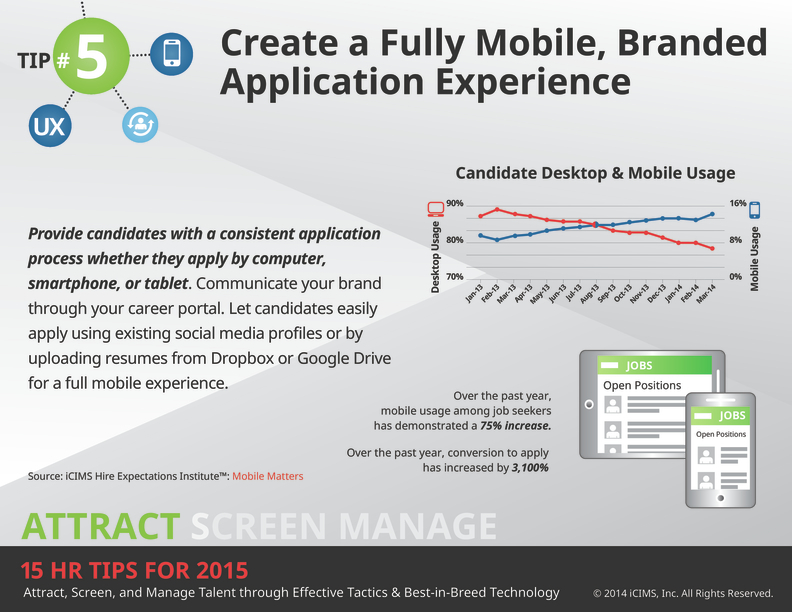 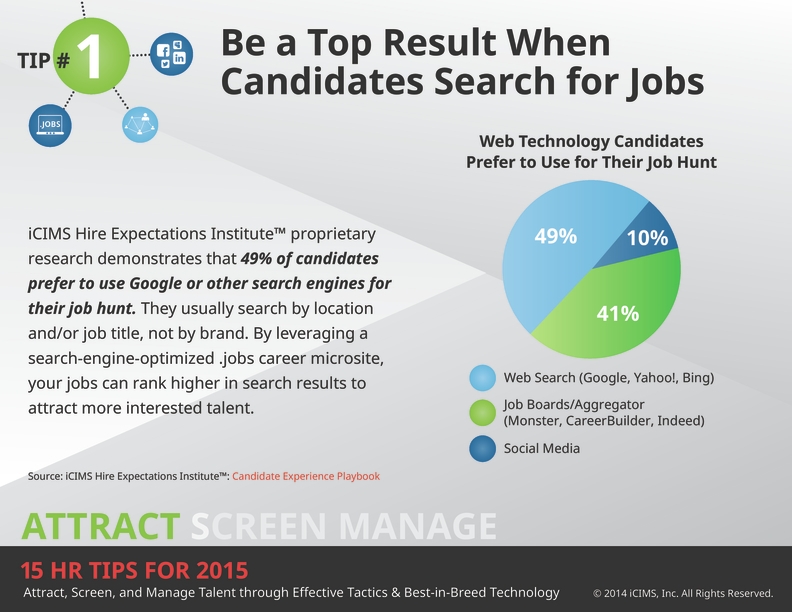 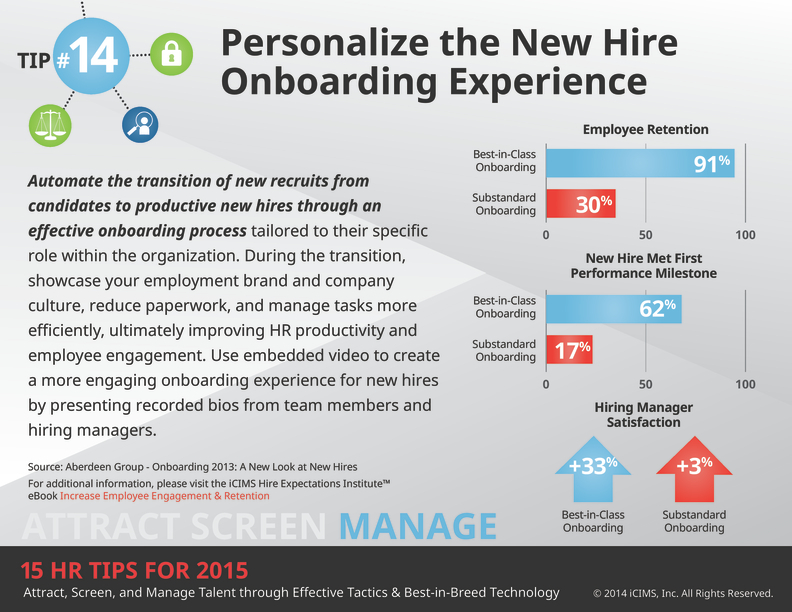 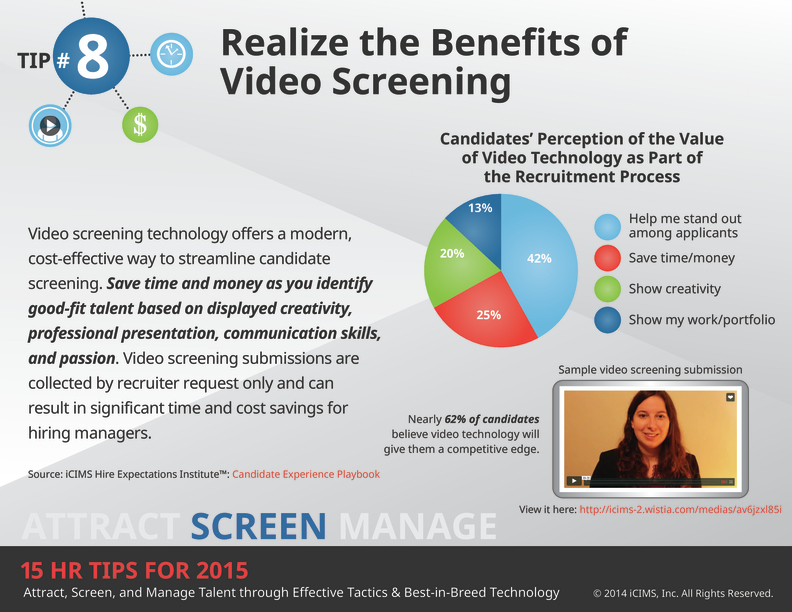 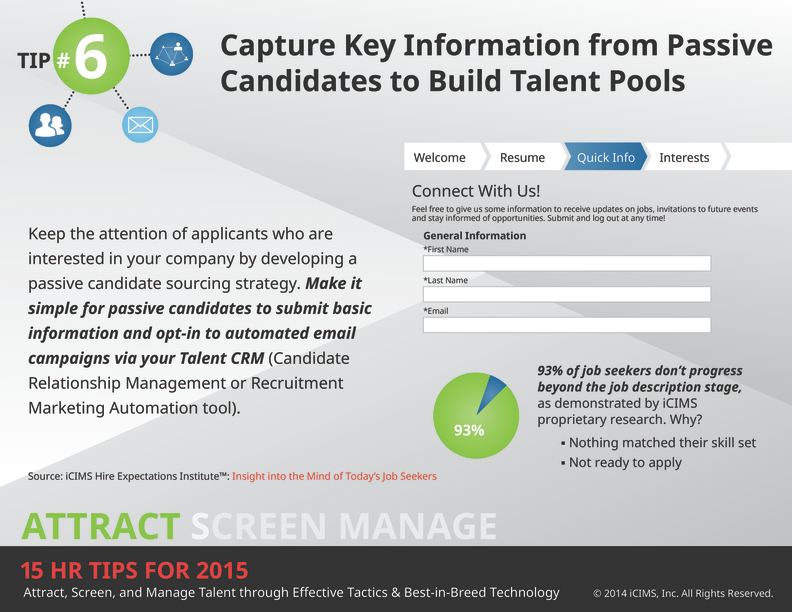 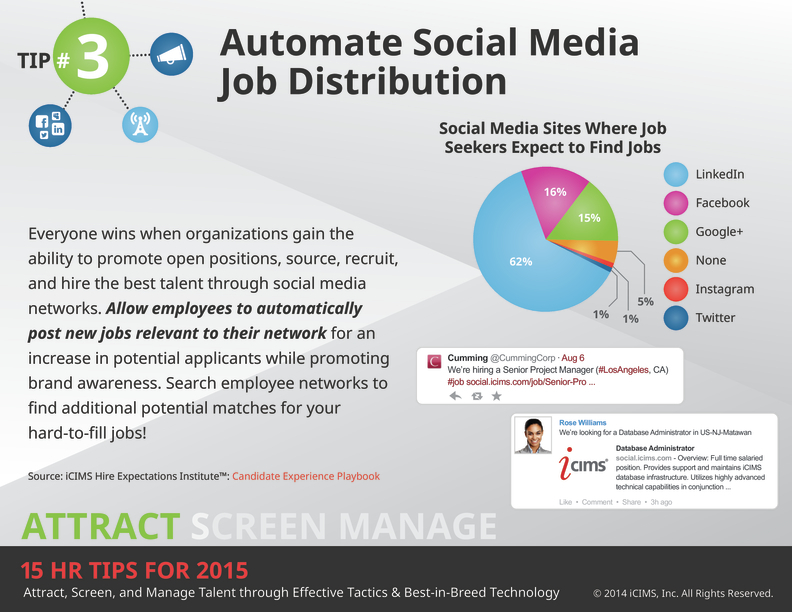 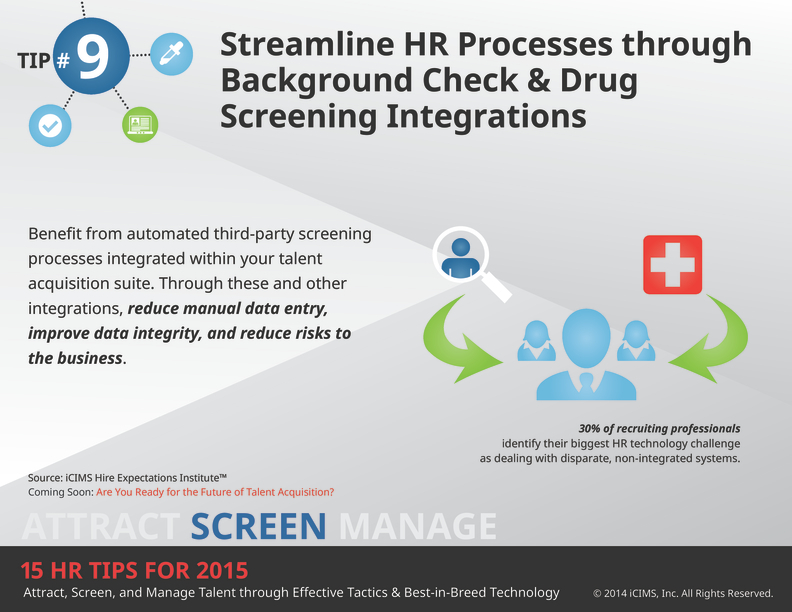 Need some quick inspiration to plan your 2015 recruiting efforts? 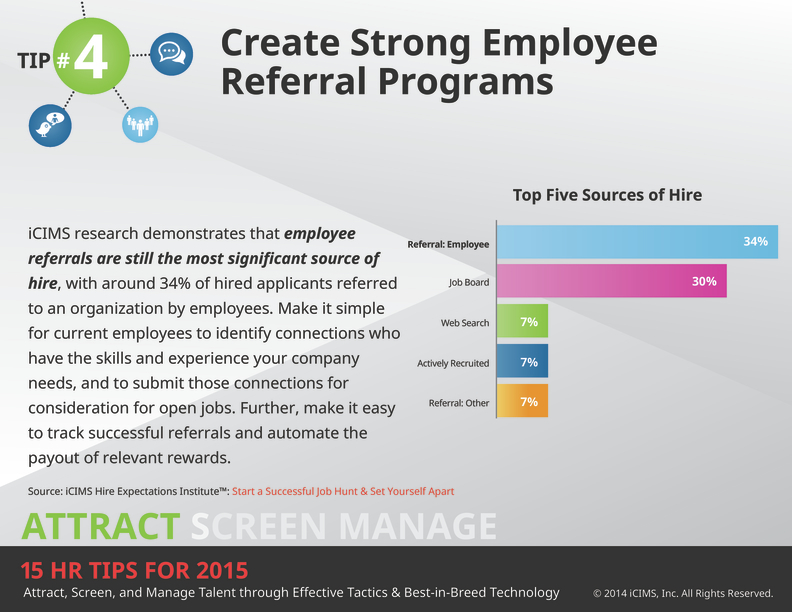 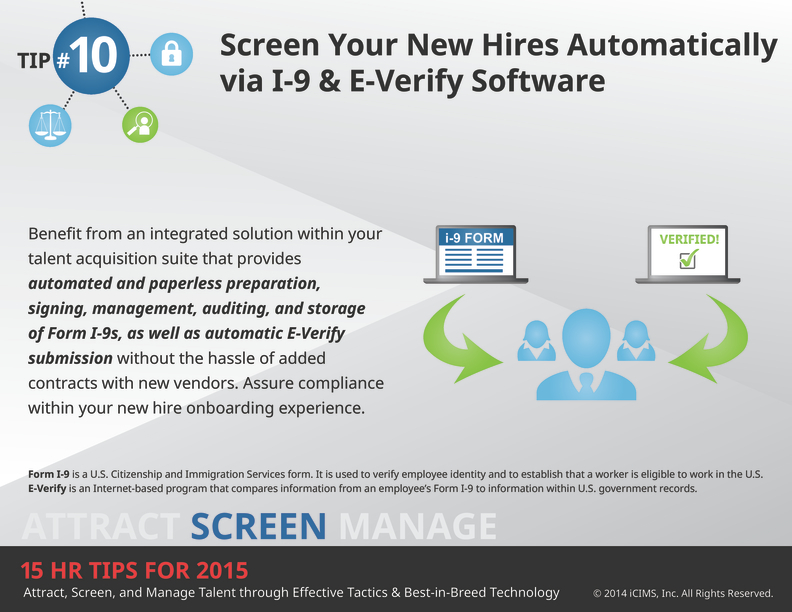 This eBook includes tips and facts that will help you attract, screen, and manage applicants and new hires efficiently. 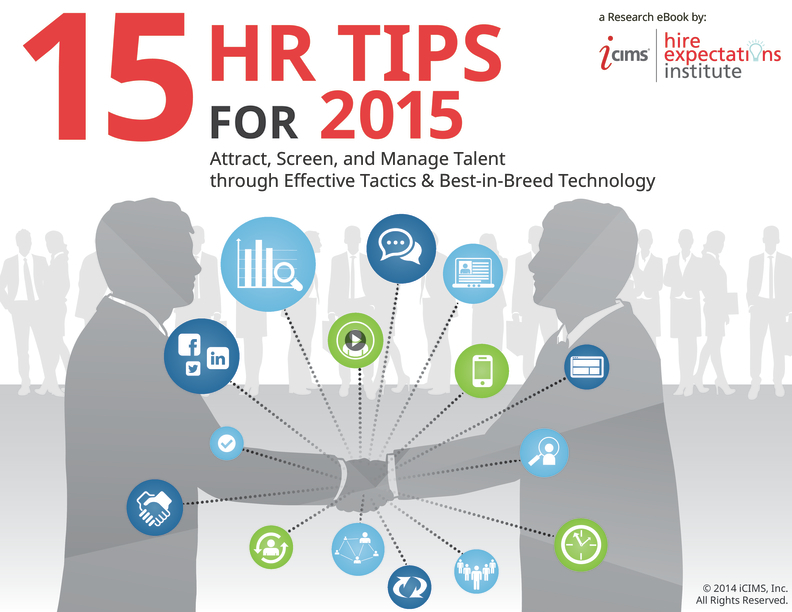 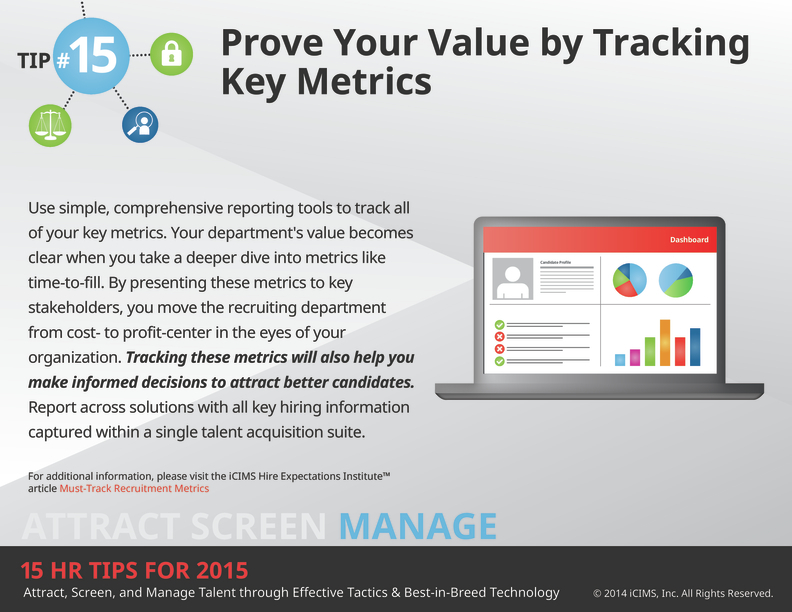 Tips are based upon iCIMS proprietary research and include links to additional thought-leadership resources! 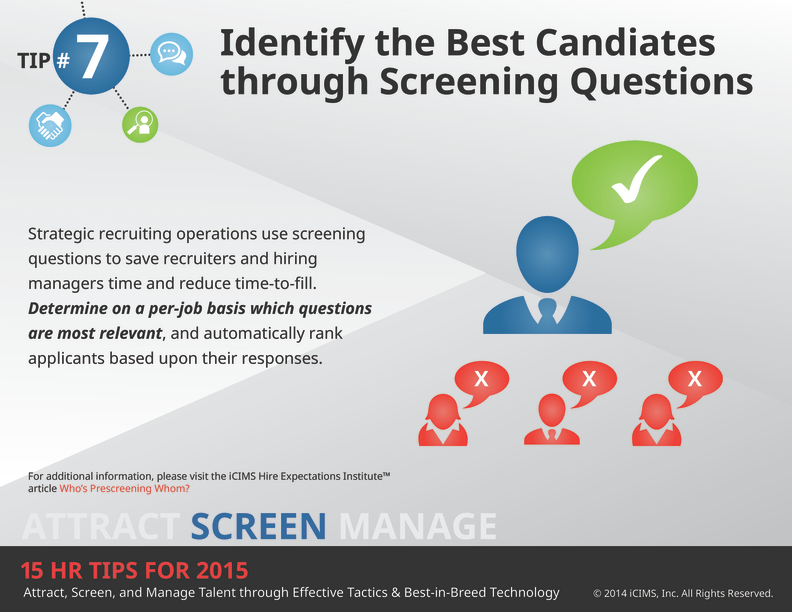 Looking to improve and want to learn more? 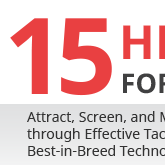 View this eBook below!